That was the title of Phillip Coorey’s article in the AFR about Ken Henry’s withering speech to the Committee of Economic Development. 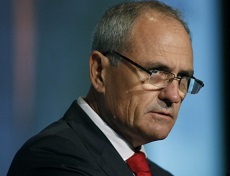 For those who came in late, Dr Ken Henry was secretary of treasury from 2001 to 2011, appointed originally by Peter Costello and served during the Rudd/Gillard years. He is now chairman of the NAB board.